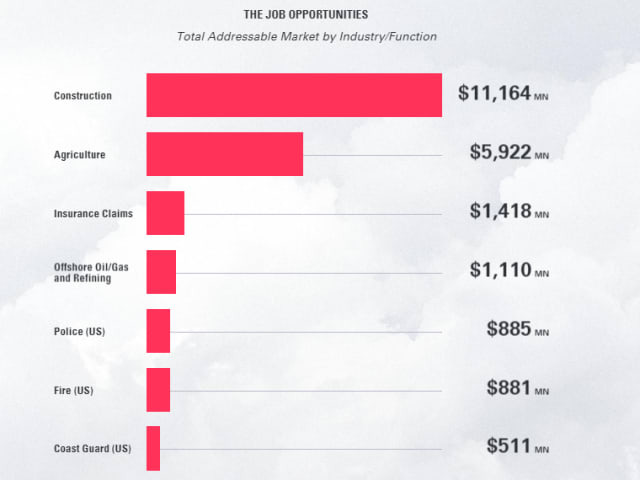 A recent report by Goldman Sachs named the construction industry as one of the biggest potential markets for drones over the next 10 years, with an estimated $11.2 billion in earnings. And construction companies have been taking interest in the technology. Since April, there has been an explosion of news about drones in the construction industry, with companies employing drones in new ways and to perform innovative functions. Here are five of the most exciting drone developments over the last month. Israel's new “Gulf Port,” one of the most complex construction projects occurring in the country, will be surveyed partially by unpiloted drones. The new port, currently under construction in the city of Haifa, is meant to help develop the country's maritime trade. 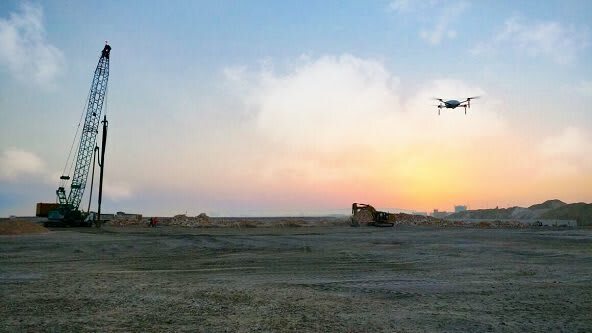 On May 22, the drone startup Airobotics announced that the project was using its drones, which are able to safely fly out of the operator's sight line. According to the company, the site has been using the drones over the past eight months to survey both the physical geography of the area and the construction progress. This is the first time that automated drones have been used on a construction site, and they have proven useful in flying at high altitudes, out of the way of construction equipment. Komatsu LTD., a Japanese multinational company specializing in construction equipment, recently placed the largest commercial drone order in history with DJI. DJI, most famous for its Phantom quadrocopter drones, will be providing Komatsu with industrial drones to help with its Japan-based Smart Construction service. The service is designed to compensate for the country's shortage of skilled workers, and relies on intelligent machine control construction equipment. 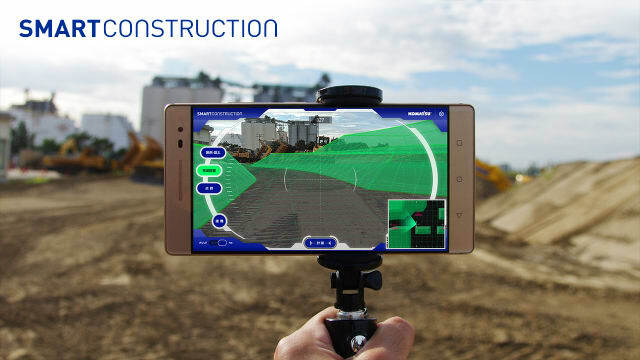 DJI will be making custom drones for Komatsu, which are designed to integrate with the rest of its machines and provide jobsite surveys. 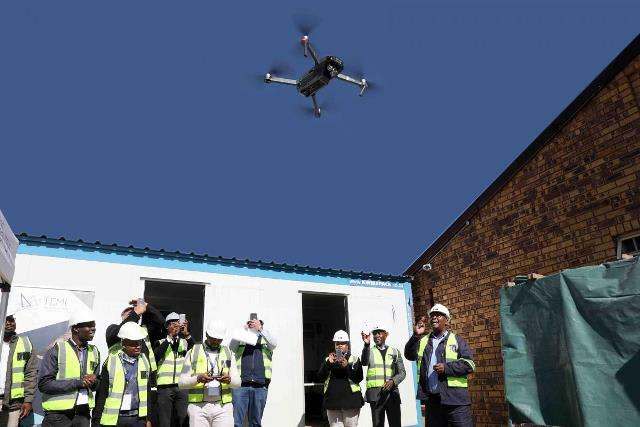 In South Africa's Gauteng province, the government has started using drones to watch out for corruption on construction sites. On May 21, the department of infrastructure launched the first drone among its fleet that will monitor the 340 projects scheduled to be completed over the next three years. According to the department, these drones will monitor quality of work and schedule compliance, as well as ensure that nobody is taking materials offsite. The move comes after the city of Johannesburg busted several subcontractors for stealing R80 million ($6 million) of equipment from jobsites. The drone startup Volans-i recently announced that it has built a drone that can deliver heavy parts over long distances and land on a moving platform. On May 25, CNBC released footage of a test flight, where a Volans-i drone delivered items between platforms attached to moving boats. According to Volans-i, its drones can travel up to 500 miles at 200mph, carrying up to 20 pounds of cargo.Why is this development of interest to the construction industry? Because Volans-i is targeting its drones directly at construction and factories. CEO Hannan Parvizian told CNBC that he was inspired by his previous experience working with Tesla: "When I used to work at Tesla, we had this problem on a daily basis of trying to deliver certain parts to our service centers quickly, or get parts back to our main warehouse.... Looking at the numbers, I figured if someone could combine the use of drones with the component of B2B to deliveries, this would be very helpful for us, and companies like ours." 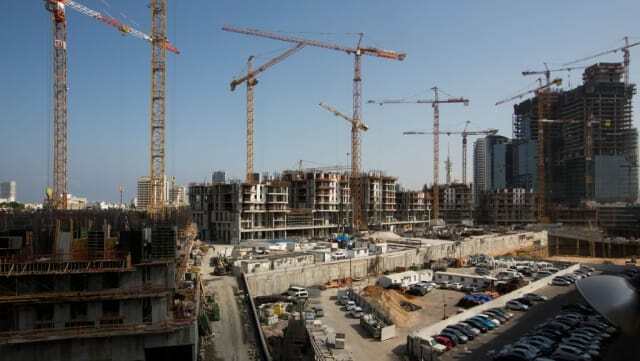 Israel's Ministry of Labor and Social Welfare is promoting a new initiative that involves drone inspection of building sites to provide safety checks. Starting this May, the department has started partnering with tech companies Manam Applications, Geokom, Safeguard, Just Manage and Practical Innovation to gather intel about more than 400 building sites across the country, gathering data both from the ground and from drones overhead. "The Safety Administration tries to visit all the sites, but they have limited manpower," said Minister of Labor and Social Welfare Haim Katz. "By means of the drones, we shall be able to visit more sites without preparation, documenting the deficiencies in real time, with their precise location." A Massachusetts startup recently combined its drones with heat-sensing cameras and machine learning software to conduct a rapid-fire energy audit. On April 30, AirWorks announced that it had outfitted one of its drones with thermal imaging cameras to conduct an audit of a 7-story building in Cambridge, Mass. The footage was put through the company’s unique machine learning software, which automatically converts aerial data into land surveys and building information modeling (BIM) models that are accurate to within 1/10 of a foot. 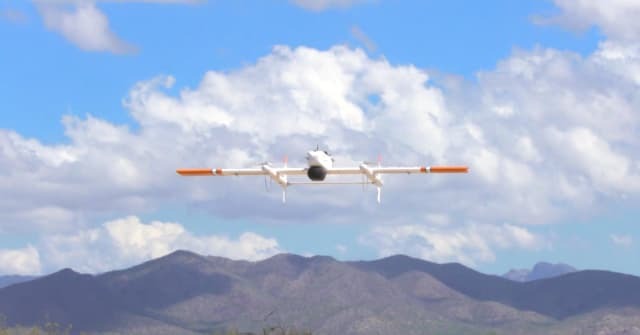 In its test run, the drone took less than 10 hours to collect and convert the data, far less time than the hundreds of hours it might take to conduct a survey using conventional methods.